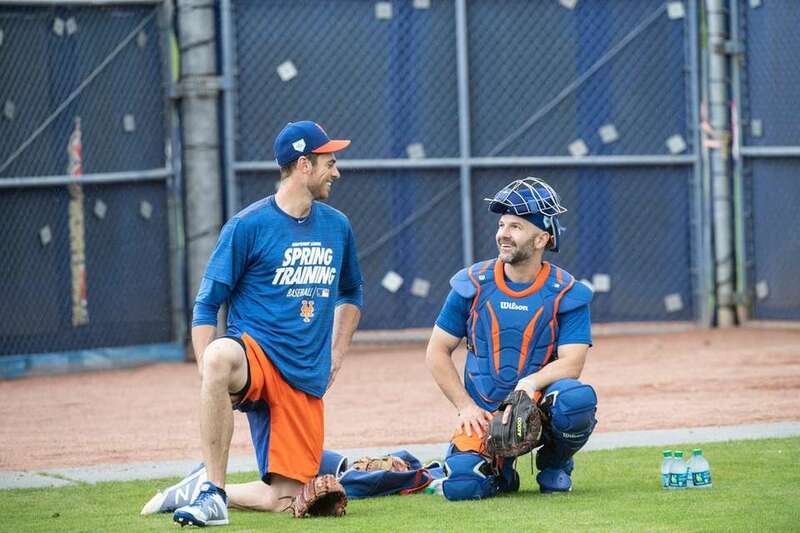 Scenes from the Mets' spring training in Port St. Lucie, Florida, in 2019. 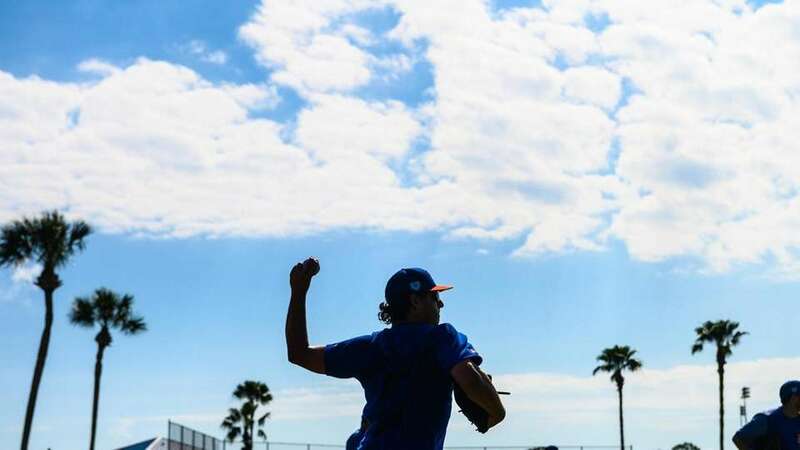 New York Mets pitcher Jason Vargas during a spring training workout, Tuesday Feb. 19, 2019 in Port St. Lucie, FL. 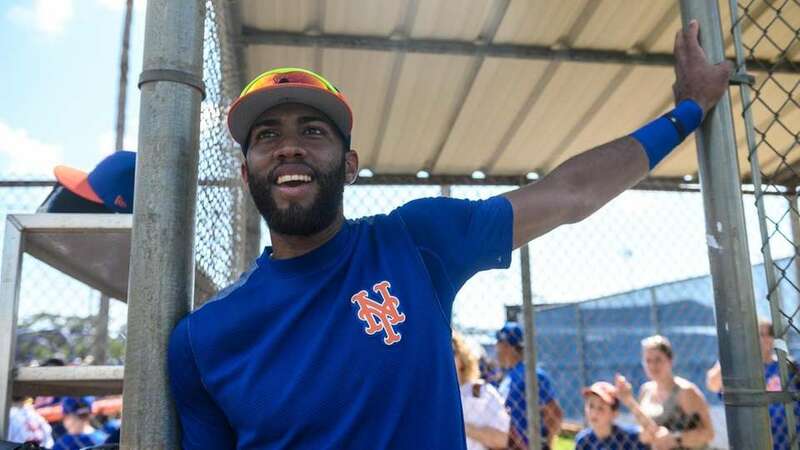 New York Mets infielder Amed Rosario during a spring training workout, Tuesday Feb. 19, 2019 in Port St. Lucie, FL. 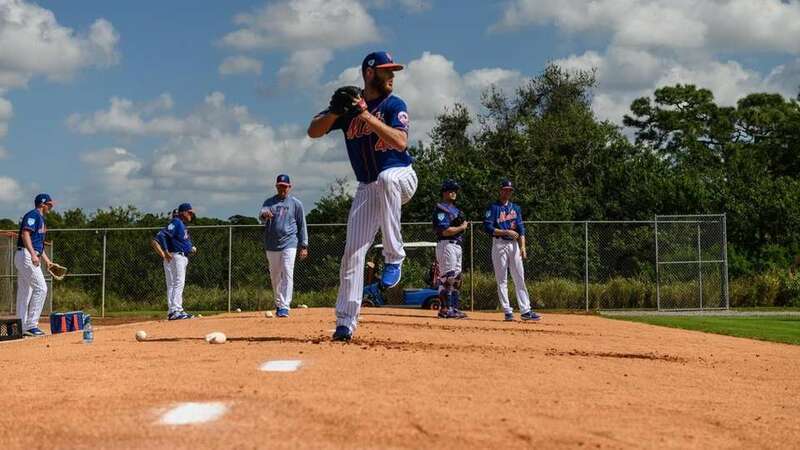 New York Mets pitchers during a spring training workout, Tuesday Feb. 19, 2019 in Port St. Lucie, FL. 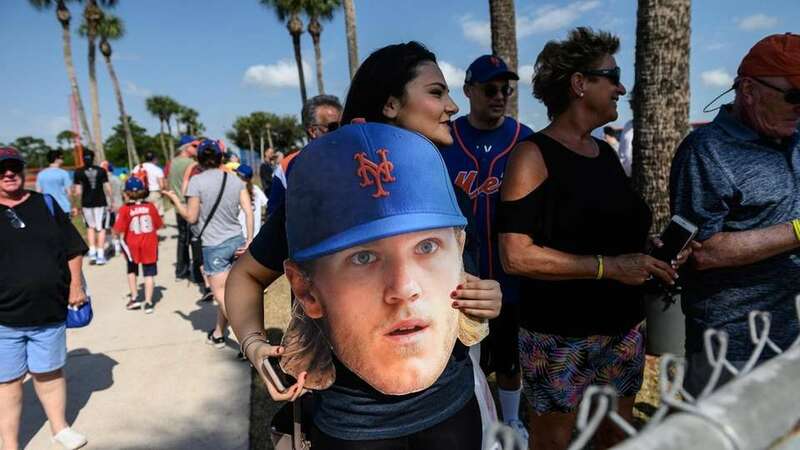 New York Mets fans show their support for Noah Syndergaard during a spring training workout, Tuesday Feb. 19, 2019 in Port St. Lucie, FL. 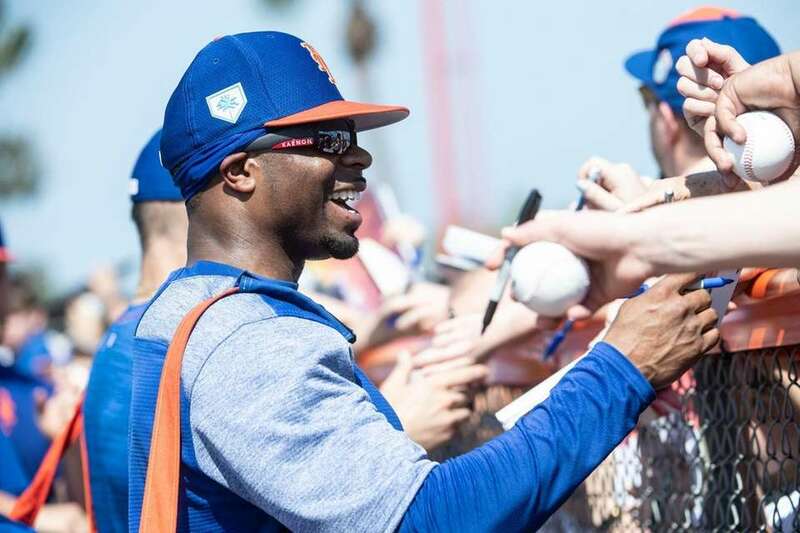 New York Mets outfielder Rajai Davis signs autographs during a spring training workout, Tuesday Feb. 19, 2019 in Port St. Lucie, FL. 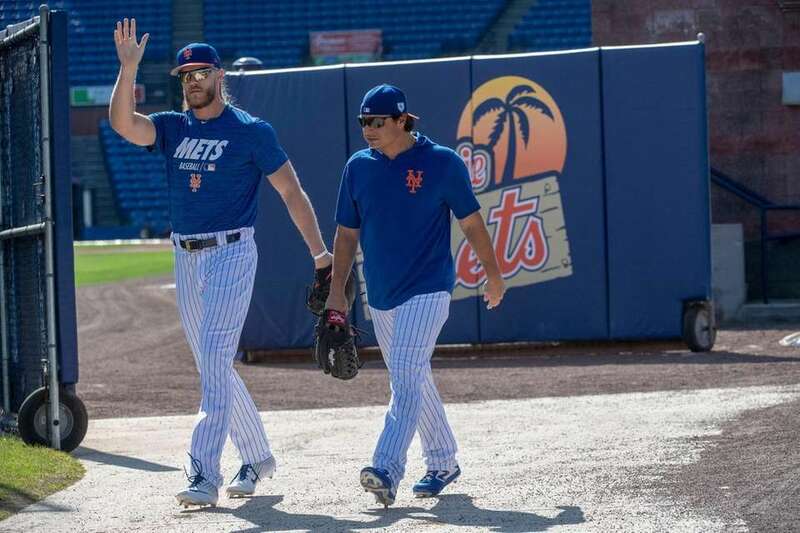 New York Mets pitchera Noah Syndergaard and Jason Vargas during a spring training workout, Tuesday Feb. 19, 2019 in Port St. Lucie, FL. 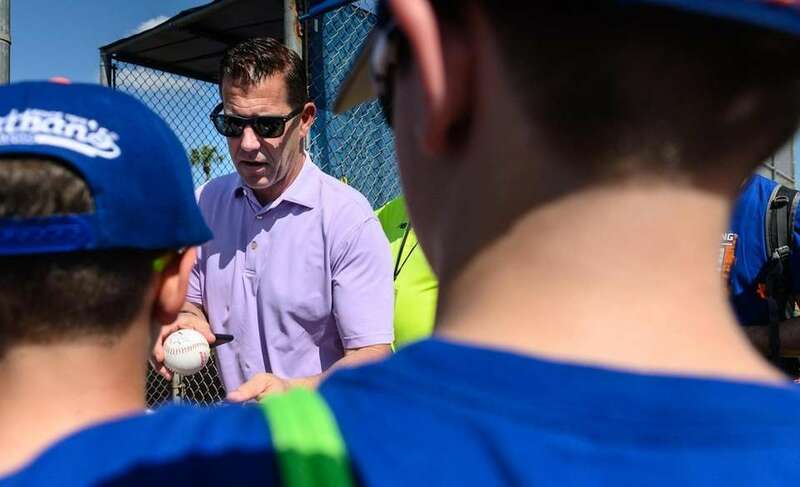 New York Mets GM Brodie Van Wagenen signs autographs during a spring training workout, Tuesday Feb. 19, 2019 in Port St. Lucie, FL. 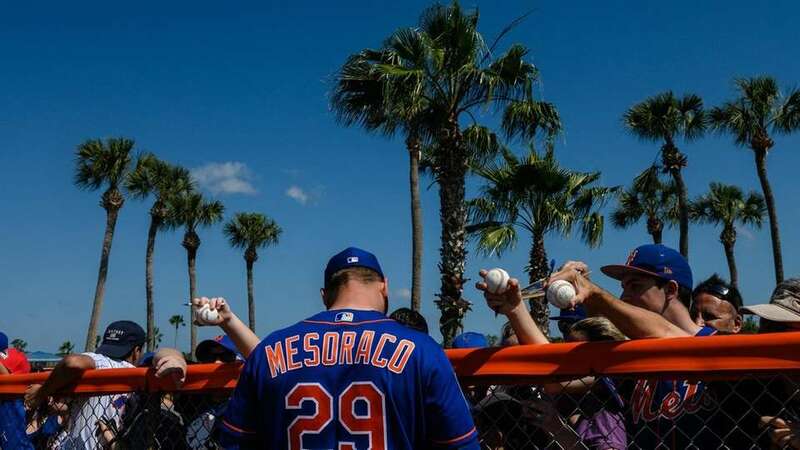 New York Mets catcher Devin Mesoraco signs autographs during a spring training workout, Tuesday Feb. 19, 2019 in Port St. Lucie, FL. 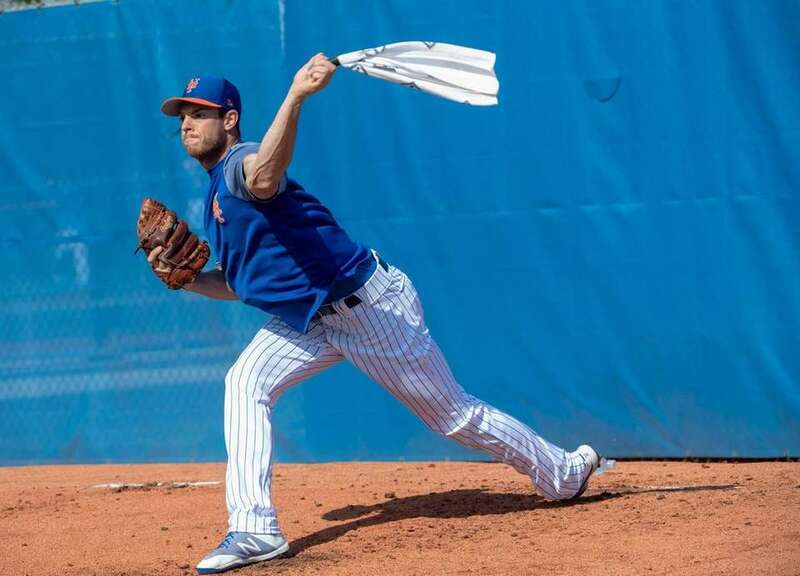 Mets pitcher Steven Matz practicing his throw with a towel during a spring training workout, Tuesday Feb. 19, 2019 in Port St. Lucie, FL. 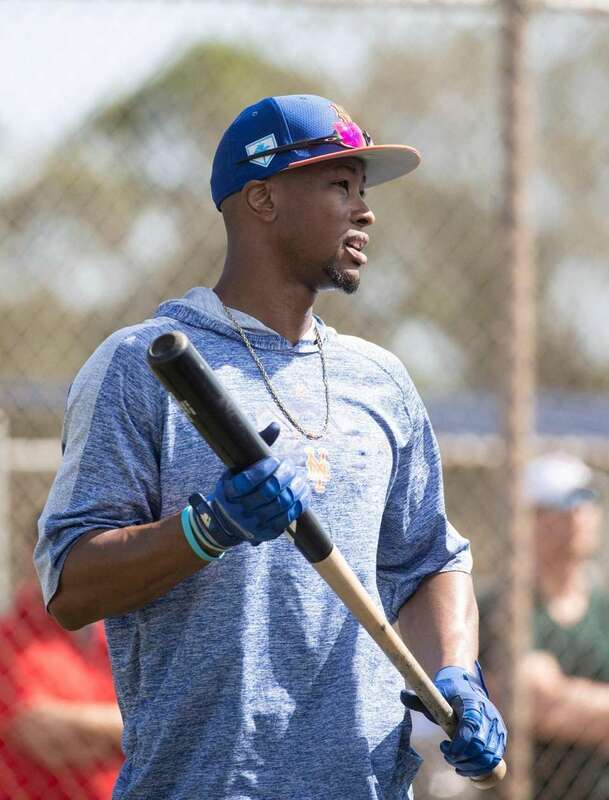 New York Mets outfielder Keon Broxton during a spring training workout, Tuesday Feb. 19, 2019 in Port St. Lucie, FL. 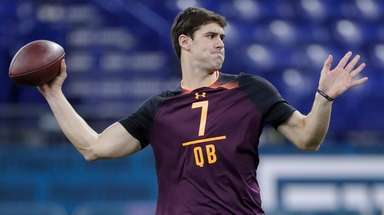 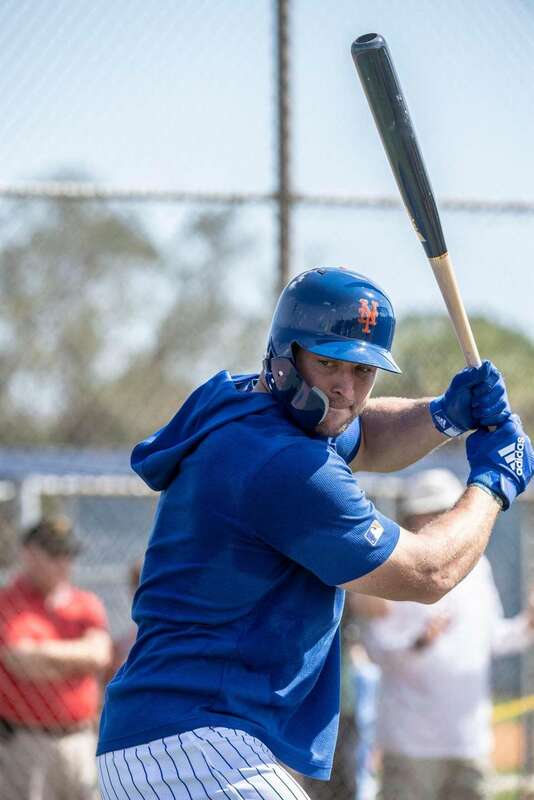 New York Mets player Tim Tebow during a spring training workout, Tuesday Feb. 19, 2019 in Port St. Lucie, FL. 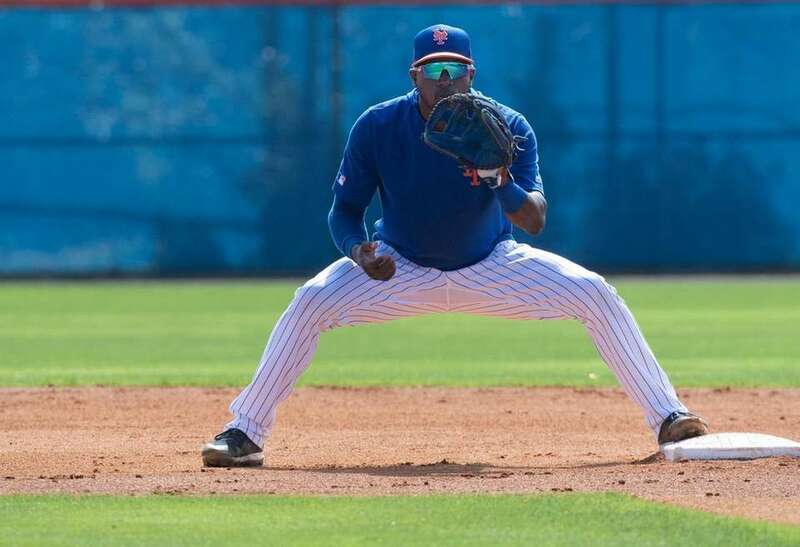 New York Mets infielder Adeiny Hechavarria during a spring training workout, Tuesday Feb. 19, 2019 in Port St. Lucie, FL. 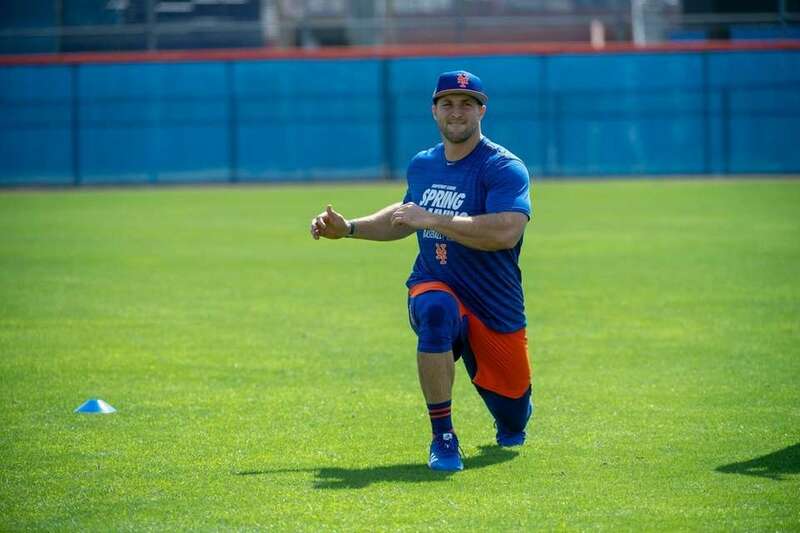 New York Mets player Tim Tebow during a spring training workout, Saturday Feb. 16, 2019 in Port St. Lucie, FL. 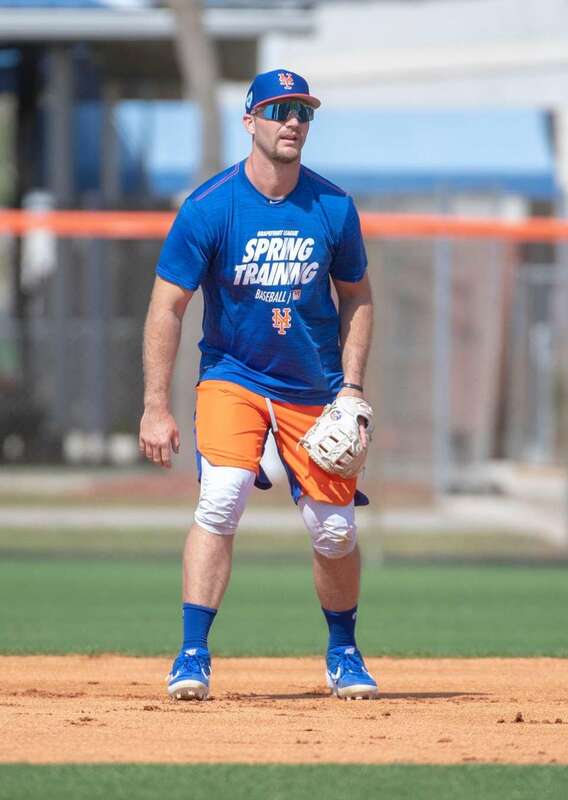 New York Mets player Peter Alonso during a spring training workout, Saturday Feb. 16, 2019 in Port St. Lucie, FL. 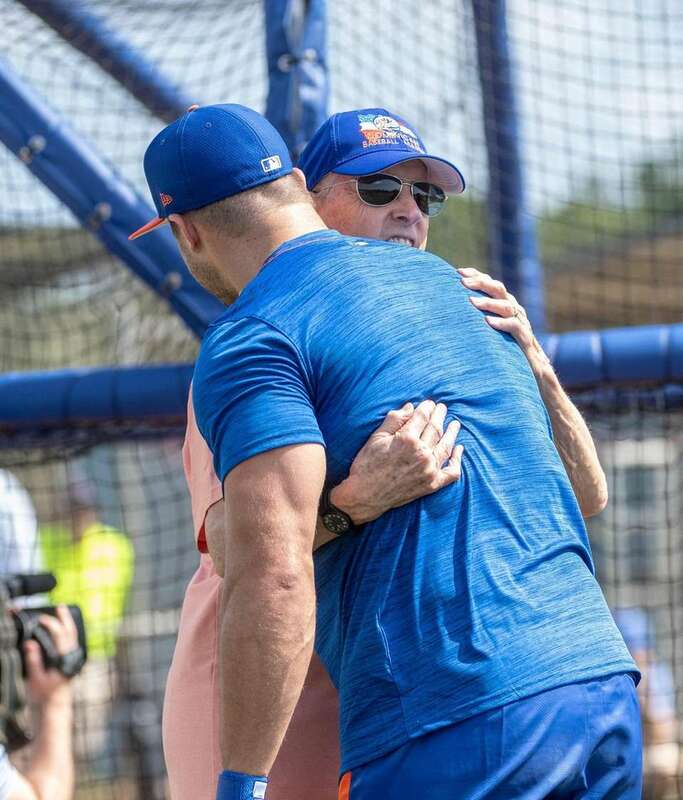 New York Mets player Tim Tebow is greeted by the team's majority owner Fred Wilpon during a spring training workout, Saturday Feb. 16, 2019 in Port St. Lucie, FL. 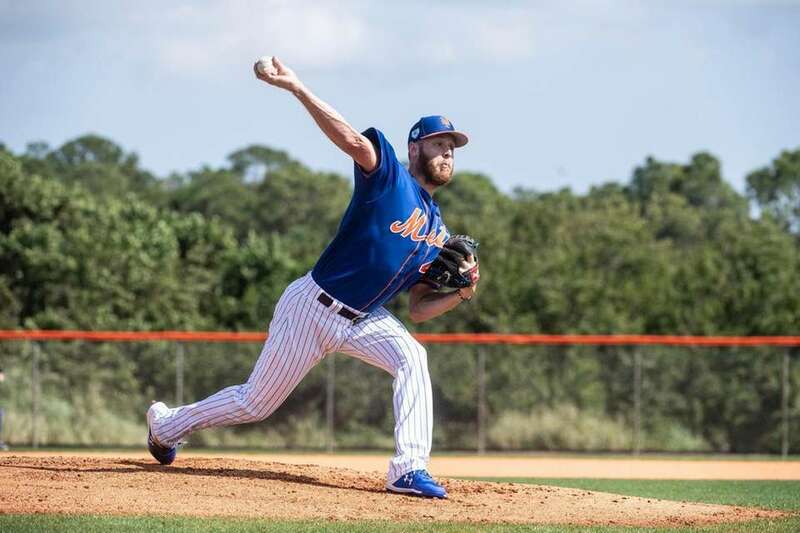 New York Mets pitcher Zach Wheeler throws a bullpen session Sunday Feb. 17, 2019 during a spring training workout in Port St. Lucie, FL. 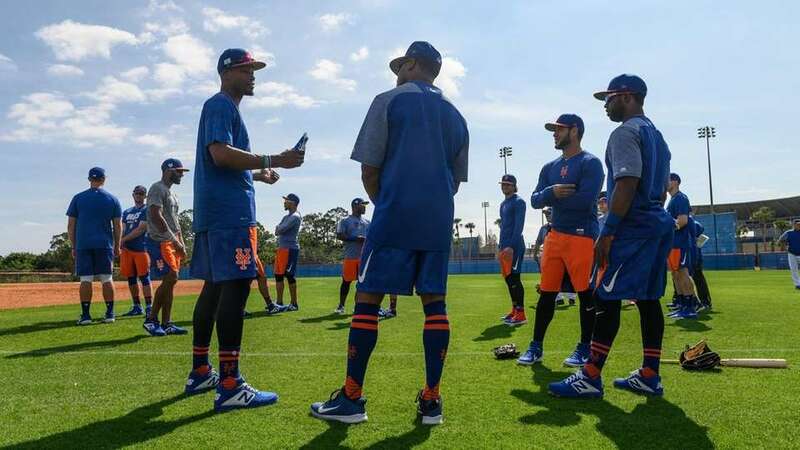 New York Mets players during a spring training workout, Saturday Feb. 16, 2019 in Port St. Lucie, FL. 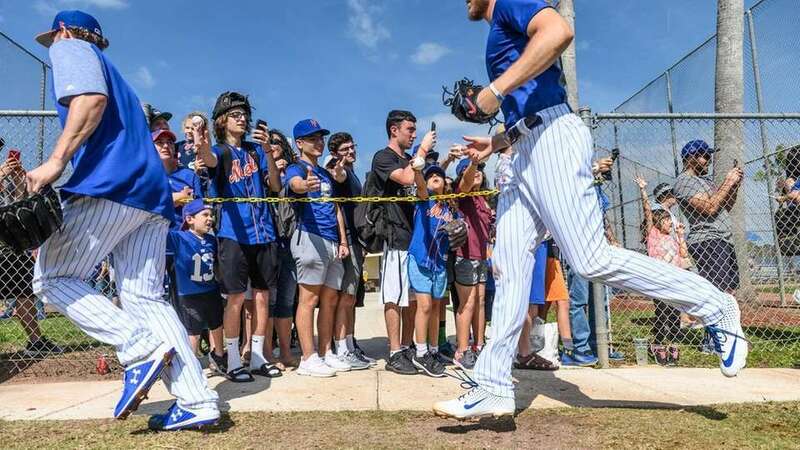 New York Mets fans wait for autographs during a spring training workout, Saturday Feb. 16, 2019 in Port St. Lucie, FL. 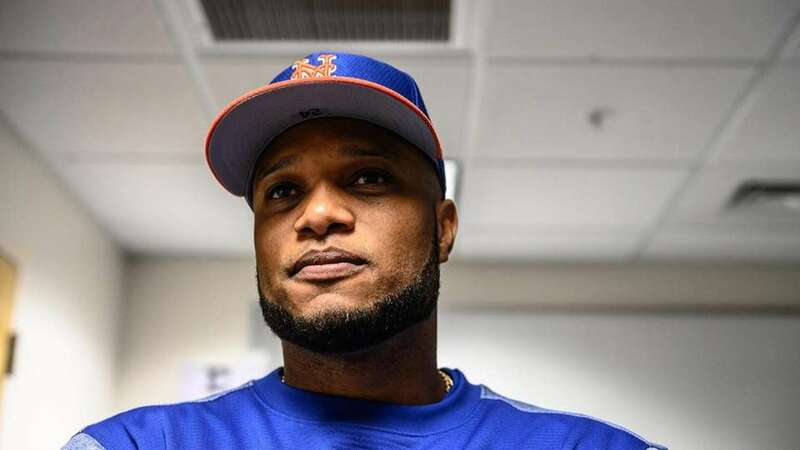 New York Mets player Robinson Cano talks to reporters, Sunday Feb. 17, 2019 before a spring training workout in Port St. Lucie, FL. 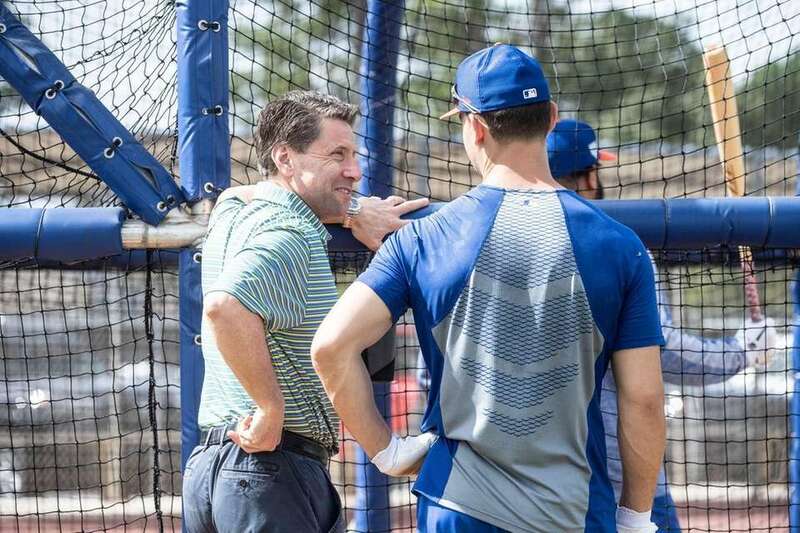 New York Mets owner Fred Wilson (left) and former manager Terri Collins greet each other Sunday Feb. 17, 2019 during a spring training workout in Port St. Lucie, FL. 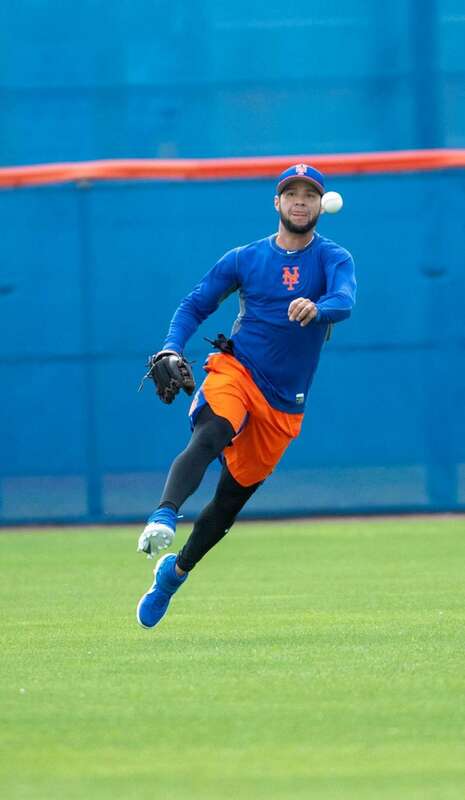 New York Mets player Gregor Blanco during a spring training workout, Saturday Feb. 16, 2019 in Port St. Lucie, FL. 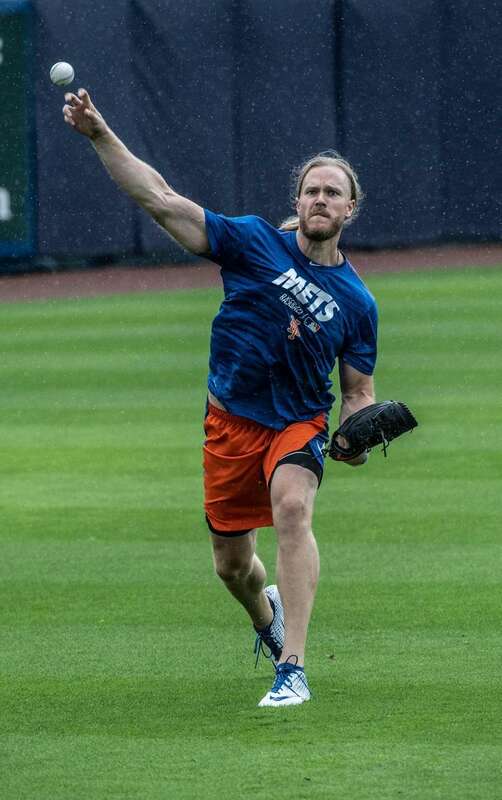 New York Mets pitcher Noah Syndergaard throws a live batting session Sunday Feb. 17, 2019 during a spring training workout in Port St. Lucie, FL. 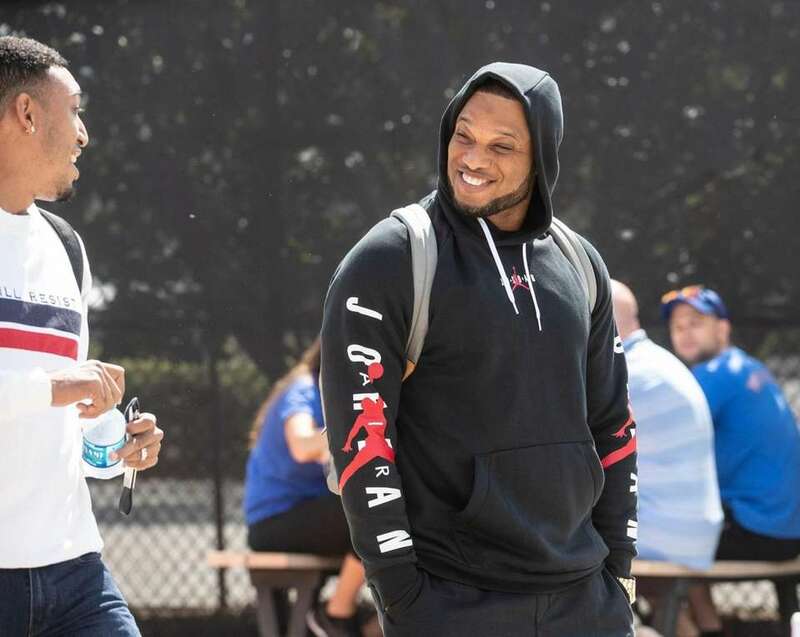 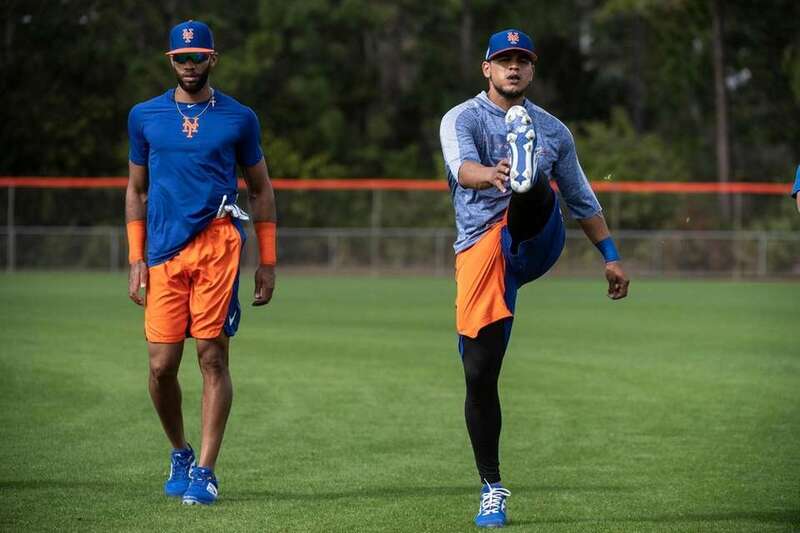 New York Mets players Edwin Diaz (left) and Robinson Cano Sunday Feb. 17, 2019 after a spring training workout in Port St. Lucie, FL. 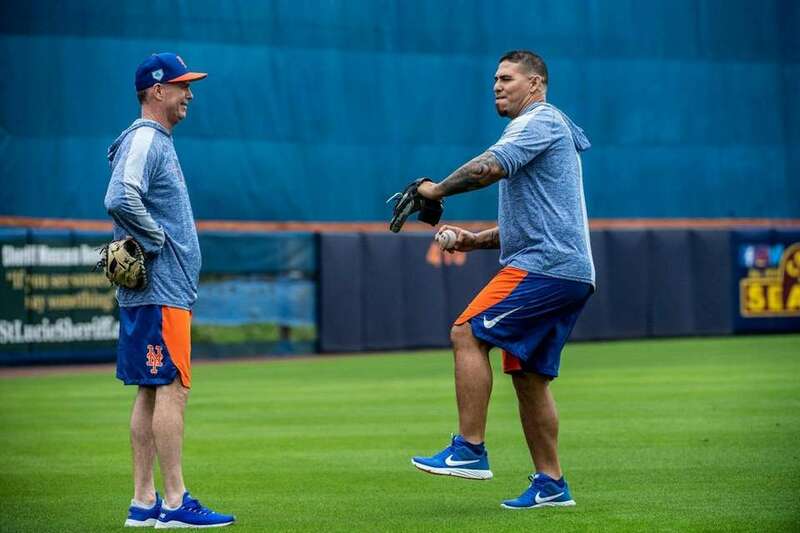 New York Mets first base coach Glenn Sherlock and catcher Wilson Ramos, Wednesday, Feb. 13, 2019 during a spring training workout in Port St. Lucie, Florida. 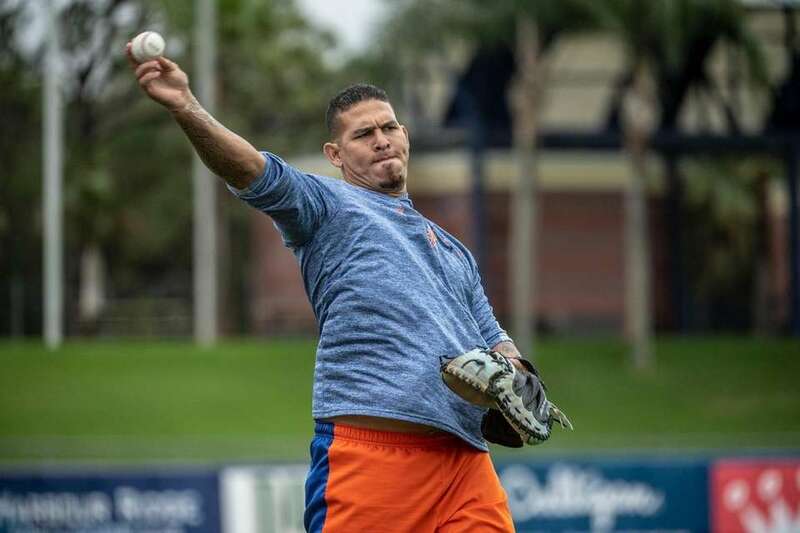 New York Mets catcher Wilson Ramos throws, Wednesday Feb. 13, 2019 during a spring training workout in Port St. Lucie, Florida. 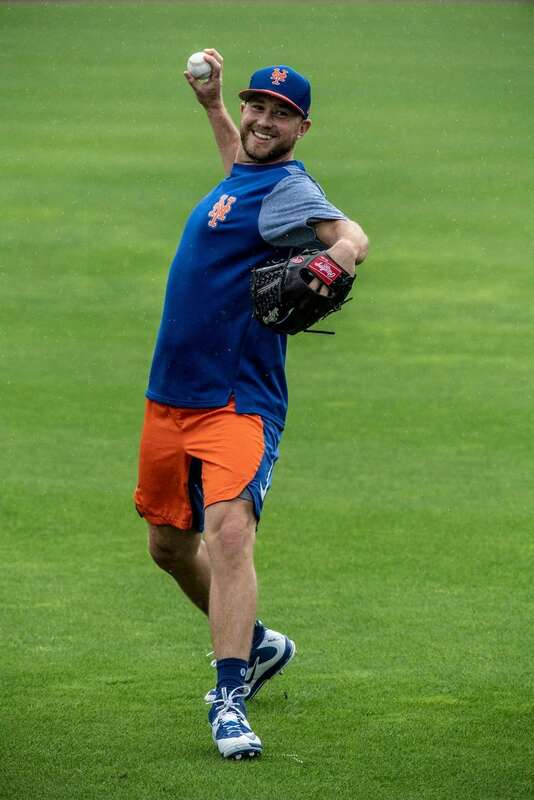 New York Mets pitcher Tim Peterson, Wednesday, Feb. 13, 2019 during a spring training workout in Port St. Lucie, Florida. 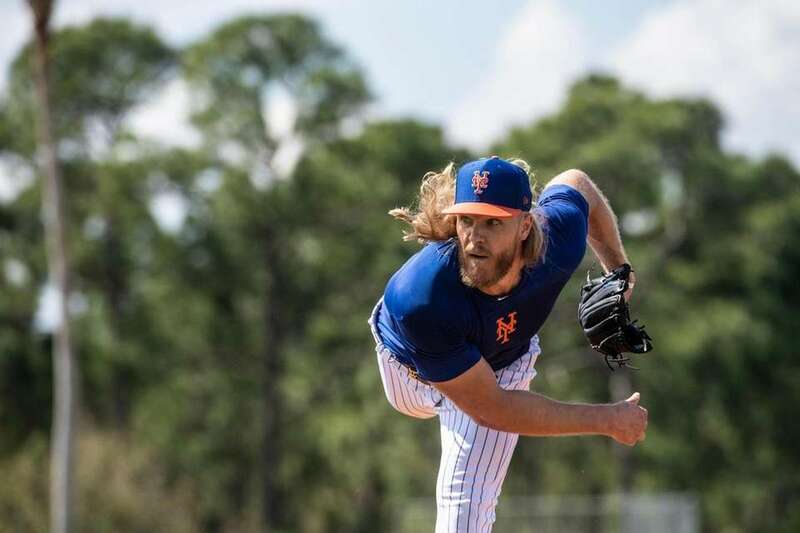 New York Mets pitcher Noah Syndergaard, Wednesday, Feb. 13, 2019 during a spring training workout in Port St. Lucie, Florida. 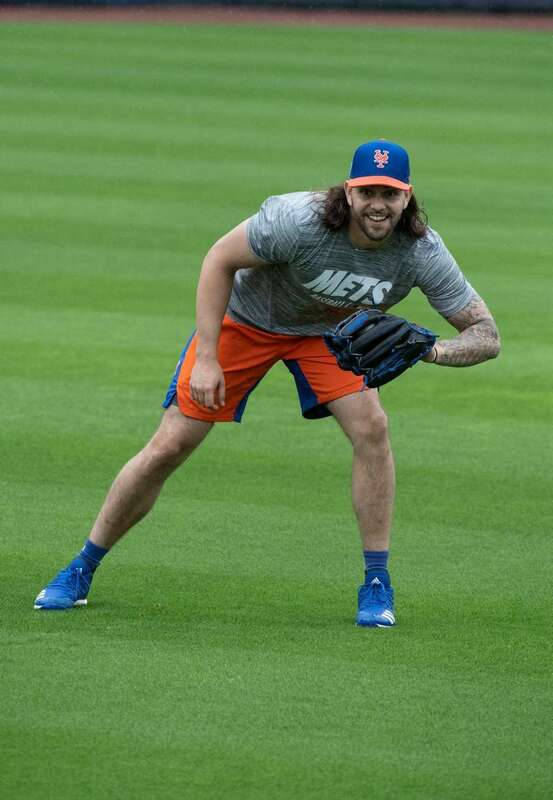 New York Mets pitcher Robert Gsellman, Wednesday, Feb. 13, 2019 during a spring training workout in Port St. Lucie, Florida. 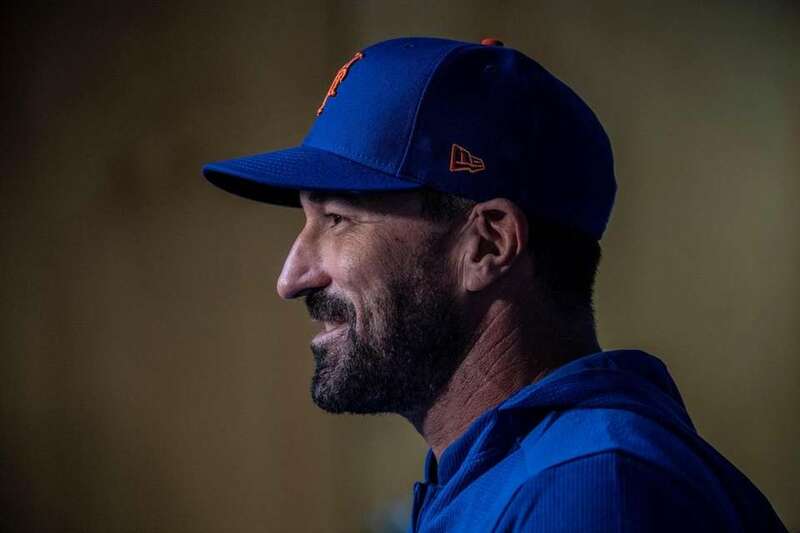 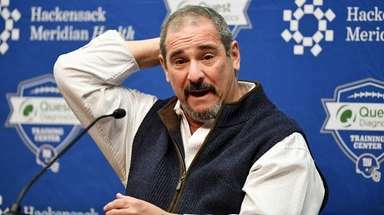 New York Mets manager Mickey Callaway talks to reporters, Wednesday, Feb. 13, 2019 after a spring training workout in Port St. Lucie, Florida. 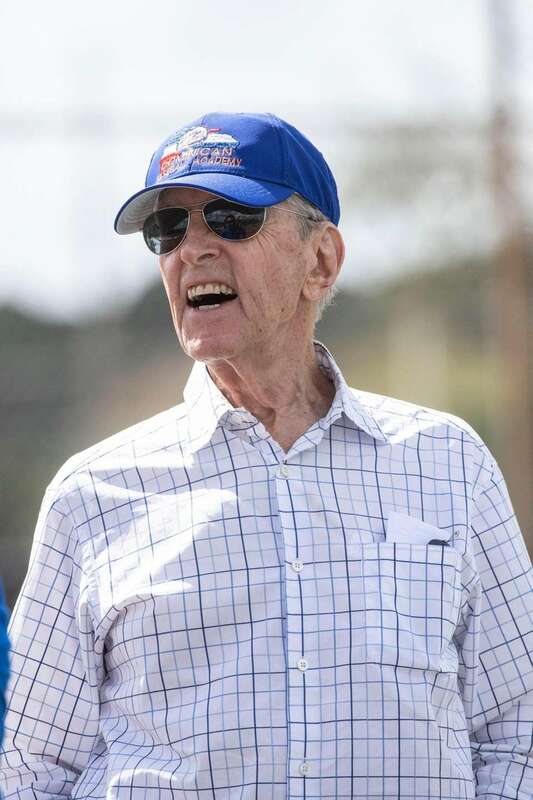 New York Mets majority owner Fred Wilpon during a spring training workout, Tuesday Feb. 12, 2019 in Port St. Lucie, FL. 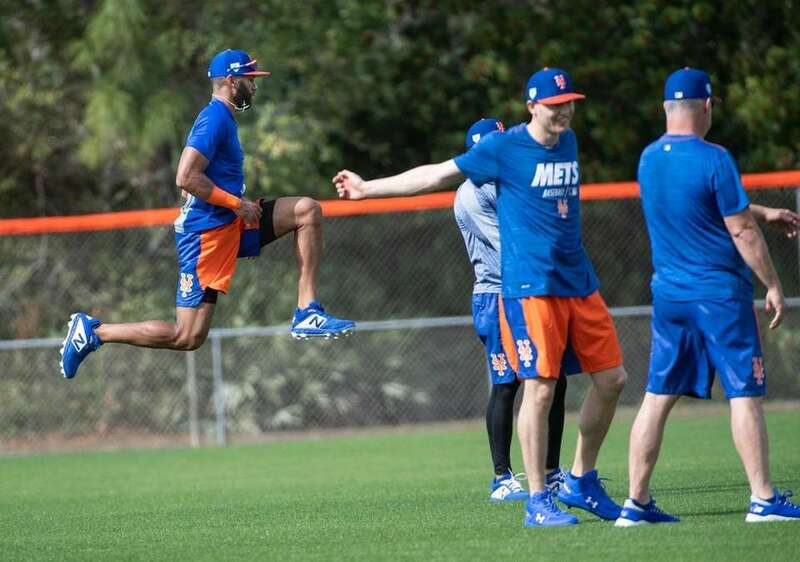 Amed Rosario warming up during a spring training workout, Tuesday Feb. 12, 2019 in Port St. Lucie, FL. 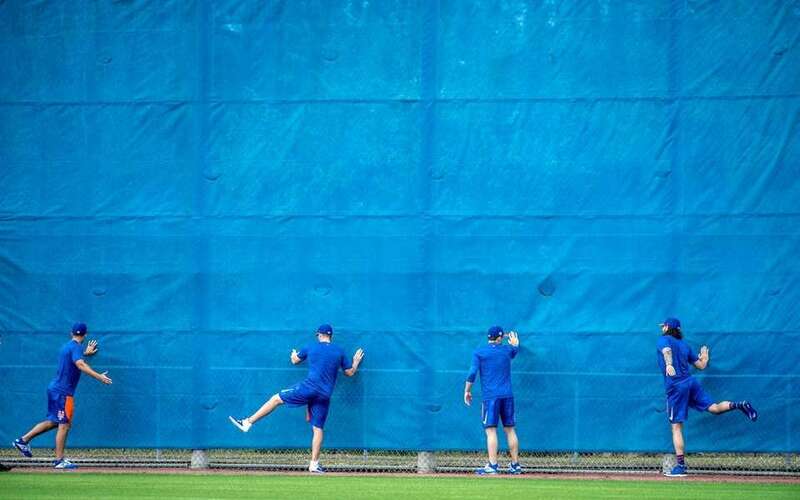 New York Mets COO Jeff Wilpon and Brandon Nimmo during a spring training workout, Tuesday Feb. 12, 2019 in Port St. Lucie, FL. 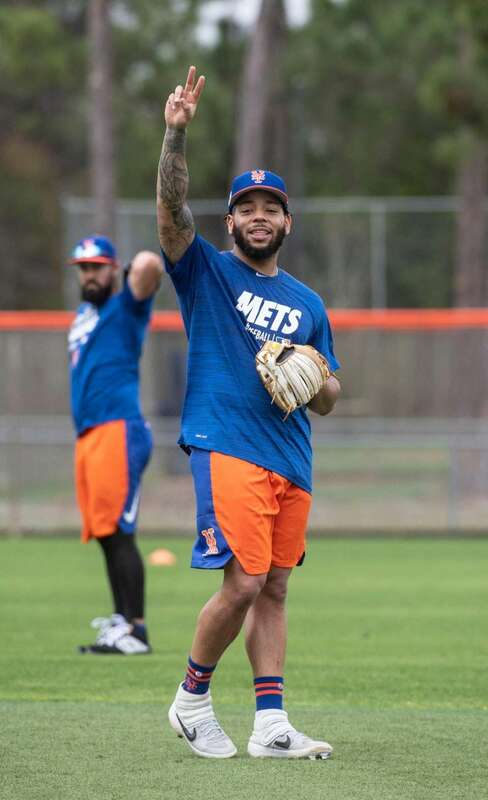 Amed Rosario, left, and Juan Lagares during a Mets spring training workout, Tuesday Feb. 12, 2019 in Port St. Lucie, FL. 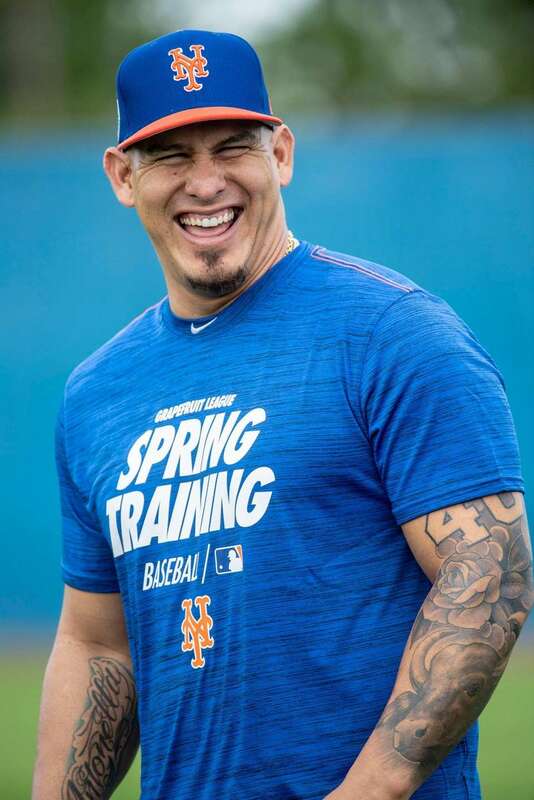 New York Mets catcher Wilson Ramos during a spring training workout, Tuesday Feb. 12, 2019 in Port St. Lucie, FL. 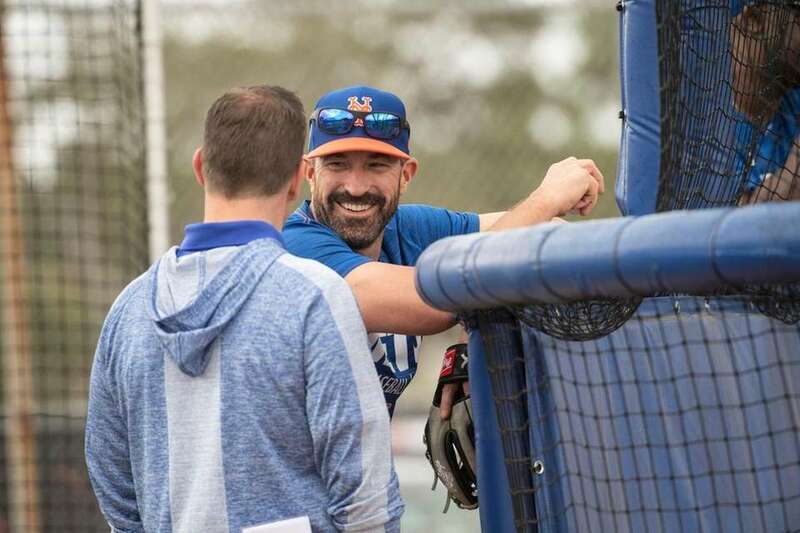 Mets Manager Mickey Callaway at spring training on Feb. 11, 2019 at First Data Field in Port St. Lucie, FL. 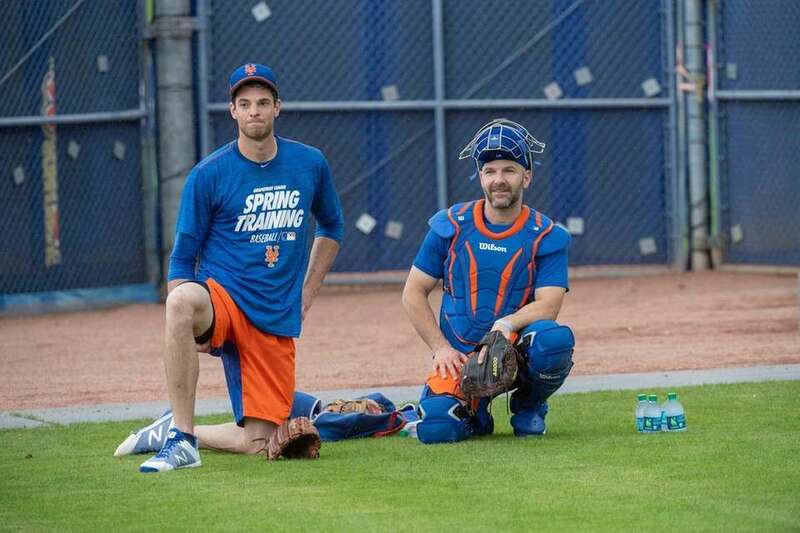 New York Mets pitcher Steven Matz and bullpen catcher Dave Racaniello during a spring training workout, Monday Feb. 11, 2019 at First Data Field in Port St. Lucie, FL. 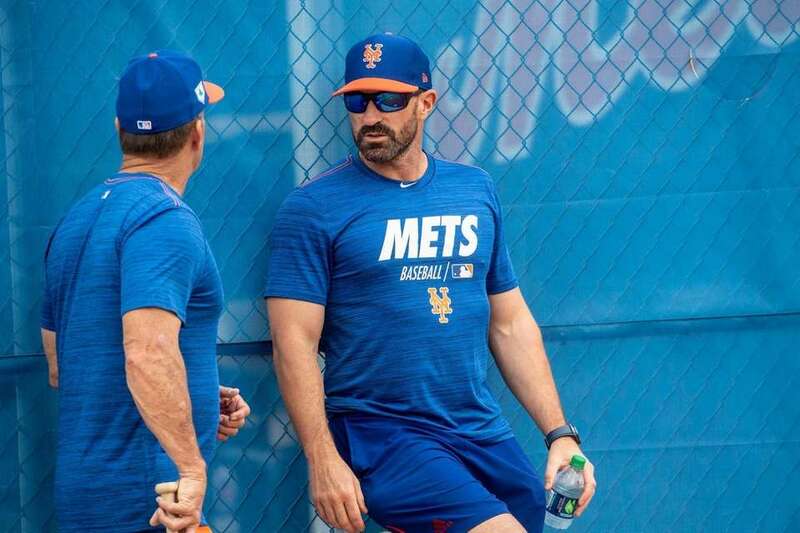 New York Mets GM Brodie Van Wagenen (left) and Manager Mickey Callaway during a spring training workout, Monday Feb. 11, 2019 at First Data Field in Port St. Lucie, FL. 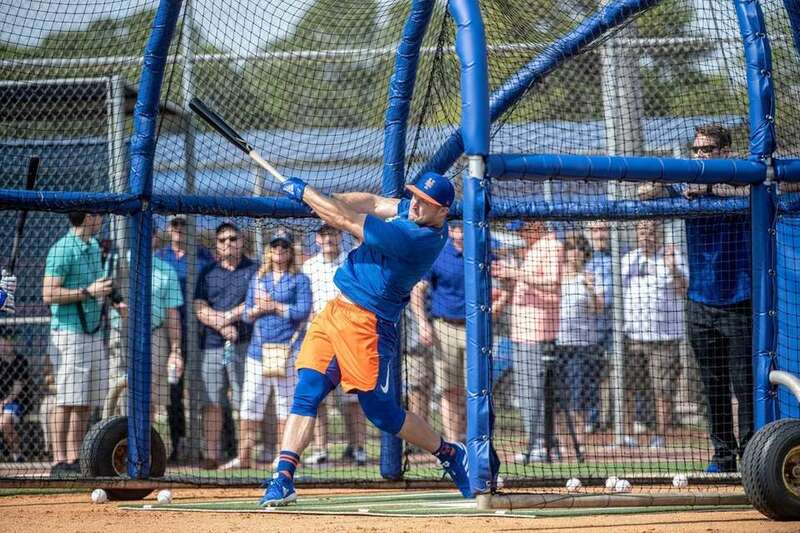 New York Mets player Dominic Smith during a spring training workout, Monday Feb. 11, 2019 at First Data Field in Port St. Lucie, FL. 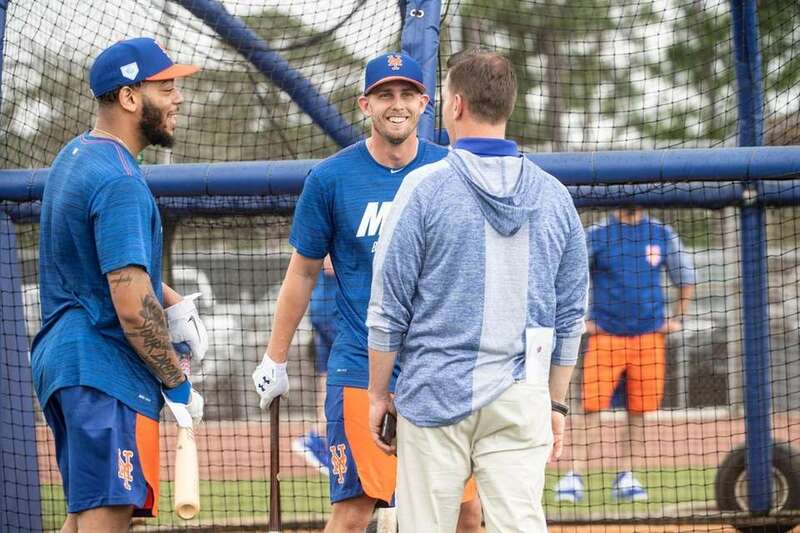 New York Mets players Dominic Smith (left) and Jeff McNeil talking with GM Brodie Van Wagenen during a spring training workout, Monday Feb. 11, 2019 at First Data Field in Port St. Lucie, FL. 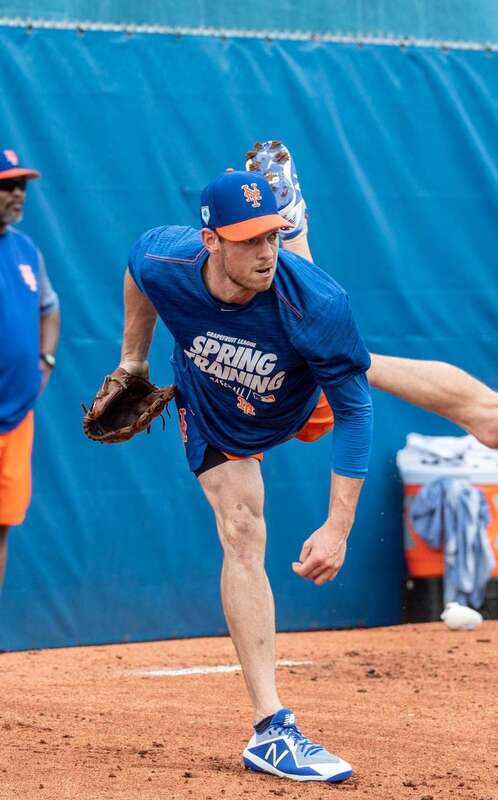 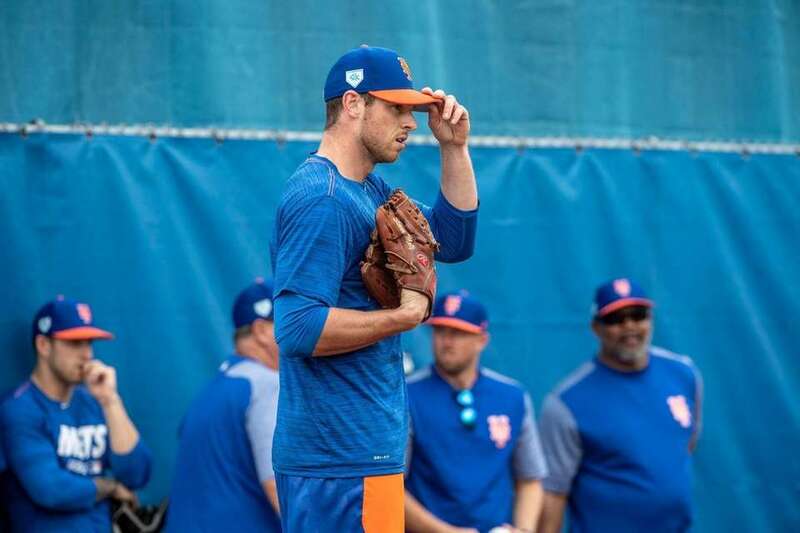 New York Mets pitcher Steven Matz during a spring training workout, Monday Feb. 11, 2019 at First Data Field in Port St. Lucie, FL. 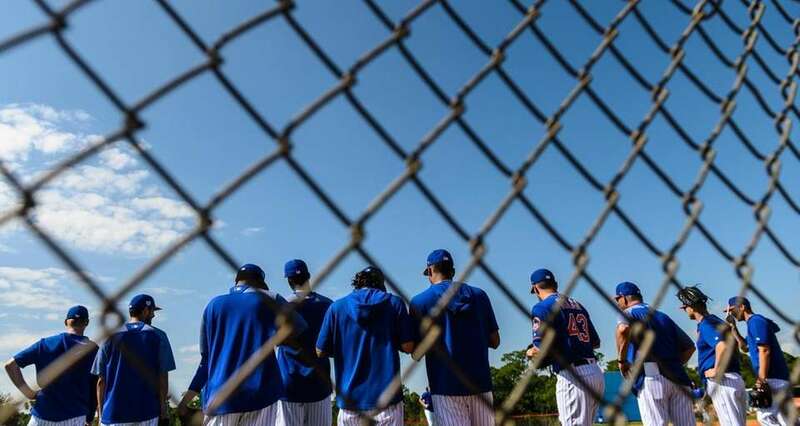 New York Mets players warm up during a spring training workout, Monday Feb. 11, 2019 at First Data Field in Port St. Lucie, Florida. 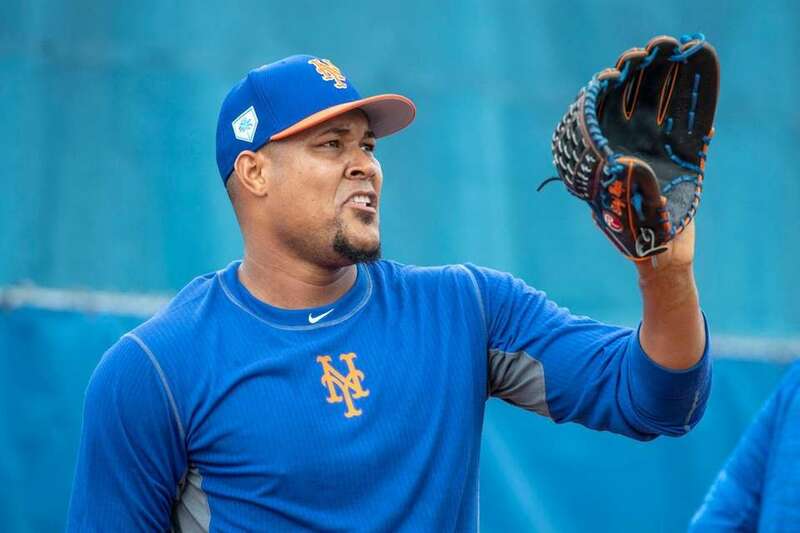 New York Mets player Jeurys Familia during a spring training workout, Monday Feb. 11, 2019 at First Data Field in Port St. Lucie, FL. 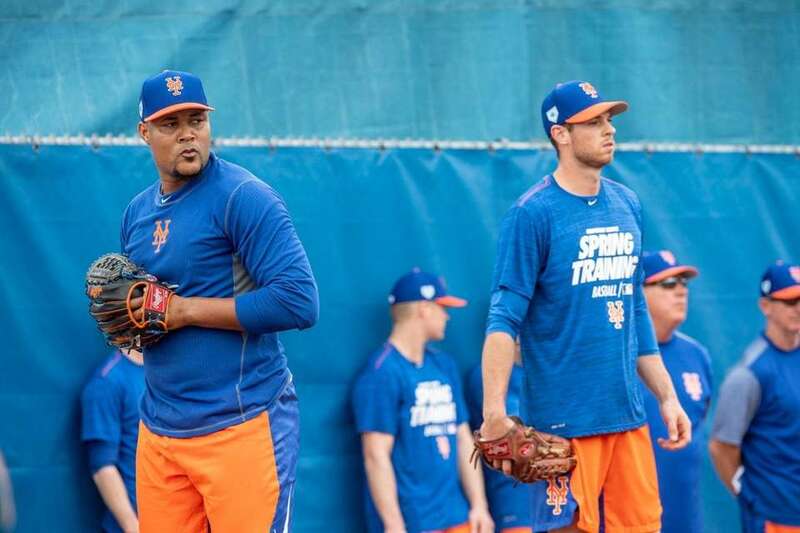 New York Mets pitchers Jeurys Familia (left) and Steven Matz during a spring training workout, Monday Feb. 11, 2019 at First Data Field in Port St. Lucie, FL. 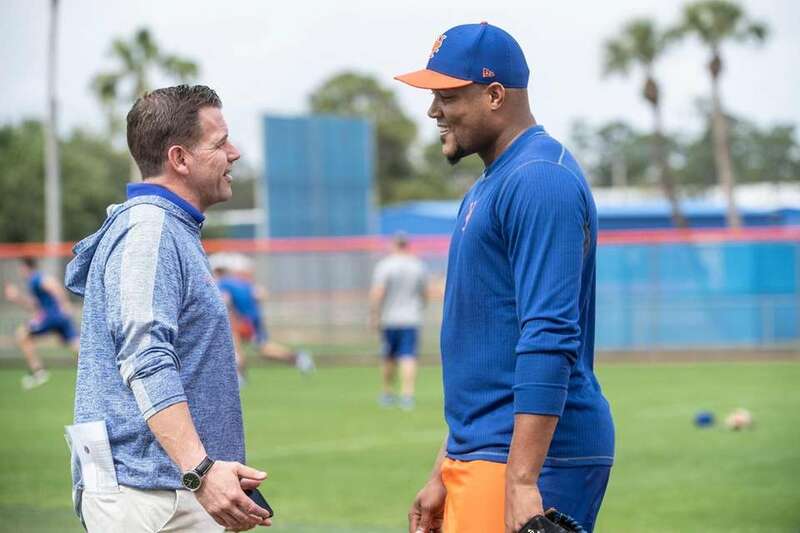 New York Mets GM Brodie Van Wagenen and player Jeurys Familia during a spring training workout, Monday Feb. 11, 2019 at First Data Field in Port St. Lucie, FL. 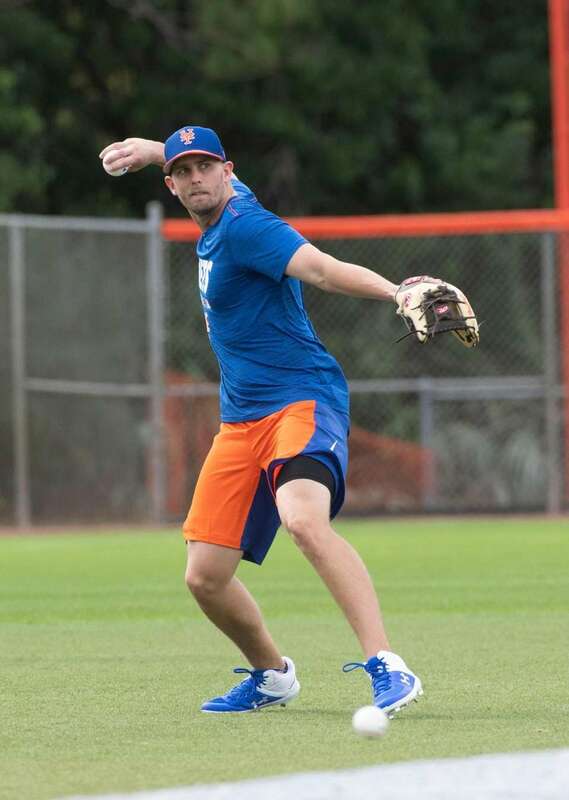 New York Mets player Jeff McNeil during a spring training workout, Monday Feb. 11, 2019 at First Data Field in Port St. Lucie, FL. 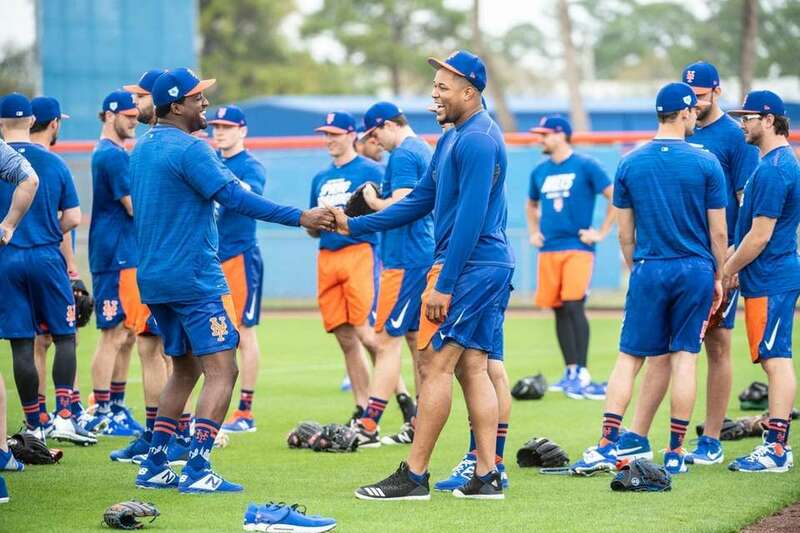 New York Mets player Jeurys Familia is greeted by teammates at the start of a spring training workout, Monday Feb. 11, 2019 at First Data Field in Port St. Lucie, FL.